See more objects with the tag instruction, rounded, recording, measuring, tool, numbers, rectangular, typography, flat, mathematical, calculation. This is a Calculator. It was manufactured by Braun AG. It is dated 1980. Its medium is abs polymer casing. 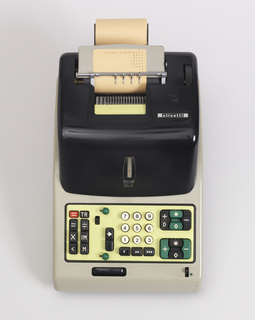 An iconic example of Dieter Rams’ relentless "Less-but-better" philosophy is this calculator, whose understated elegance and exacting precision of detail made it an immediate success. Nothing is arbitrary. In addition to the instrument’s absolute clarity of function, the smooth texture feels good, and the rectangular form fits comfortably into the hand. 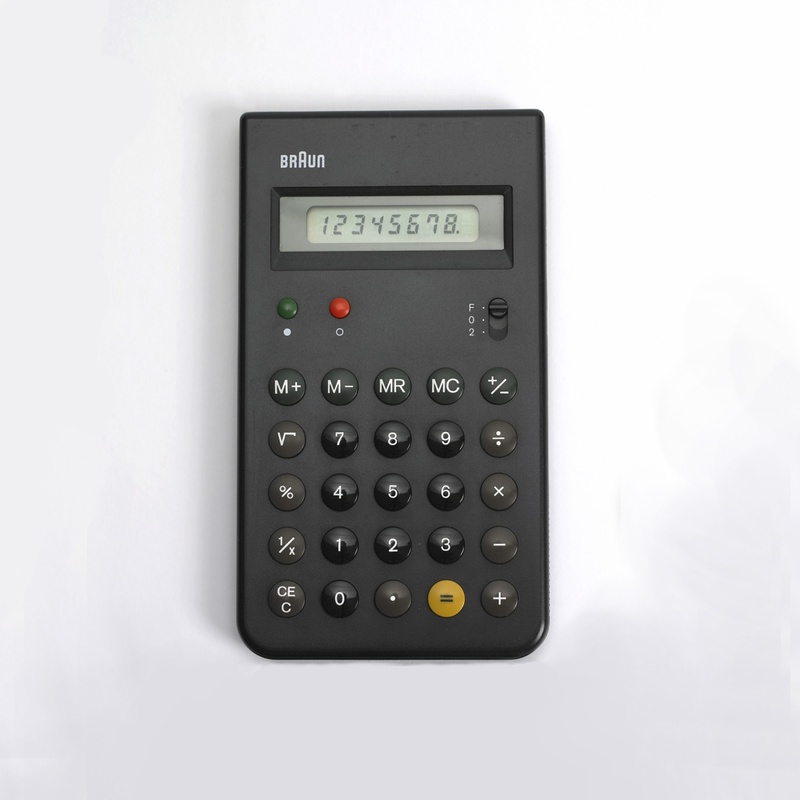 The articulated, color-coded, M & M–shaped push buttons, offset against a matte black background, contribute to an intuitive use of the calculator and add a lighthearted visual appeal. 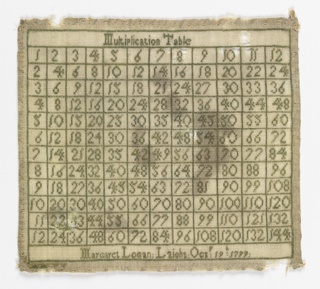 Emotive responses are not generally associated with calculating machines, but this is a possession to be coveted, rather than hide in a drawer until required. 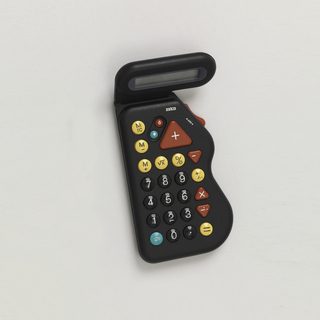 As a testament to the tool’s enduring legacy, the minimalist form and the layout of the keypad were inspirations for Apple’s iPhone calculator. It is credited Courtesy of Cara McCarty.